Statistics have shown that hearing loss is incredibly common in the USA; one in eight people are thought to experience some degree of hearing loss, with those over the age of 60 particularly liable to experience the condition. In some ways, this commonality has meant that hearing loss has become a fact of life; something that is just accepted as an inevitability; part and parcel of the aging process – but is this actually the case? In truth, when it comes to discussing hearing loss prevention, it is essential to employ a measure of realism. As humans age, the tiny hair cells on the inner ear begin to degrade, ultimately resulting in hearing loss – and there is relatively little that can be done to prevent this from happening, although an audiologist can certainly help to mitigate the issue. However, age-related hearing loss is not the only type of hearing loss; in many cases, the issue may occur due to exposure to noise. In order to avoid this, the following advice is essential. Studies have shown that sounds louder than 85db can cause permanent hearing damage. For reference, a normal conversation in a quiet room would usually reach 60 decibels; a vacuum cleaner is around 70db. Hairdryers and kitchen blenders cross the safe threshold, usually producing between 80-90db. 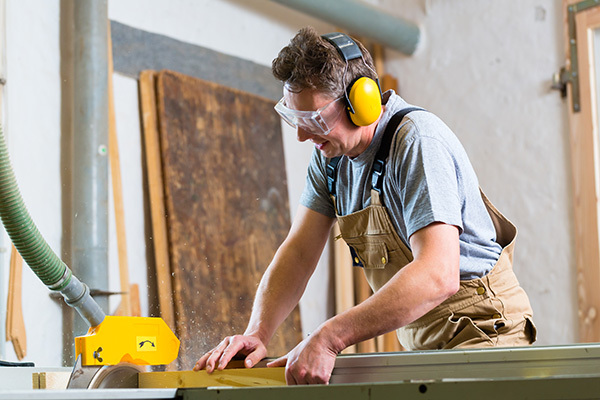 If you are unsure whether an environment is as loud as a hairdryer or kitchen blender, then it’s best to err on the side of caution and choose to wear ear defenders. Unfortunately, it is impossible to completely prevent all forms of hearing loss – age-related hearing loss can happen to anyone. However, noise-induced hearing loss can be prevented and the tips above should stand you – and your hearing – in good stead for the future.